The Rebel Sweetheart. : Wordless Wednesday #130 | Happy Kid! He look like someone "made his day"! OOoh a cool toy! He is one of my fave wrestler! He does seem happy! What a wonderful smile! Lucky boy.. I'm sure he is super happy with his new toy. He sure does look happy. Cool action figure! What a great smile! Thanks for sharing a piece of your life. What a sweet picture! It is so fun to see happy kids!! New toys usually do the trick! That expression most definitely shows it all! What a smile! He's adorable! He sure looks happy! What a cute picture! 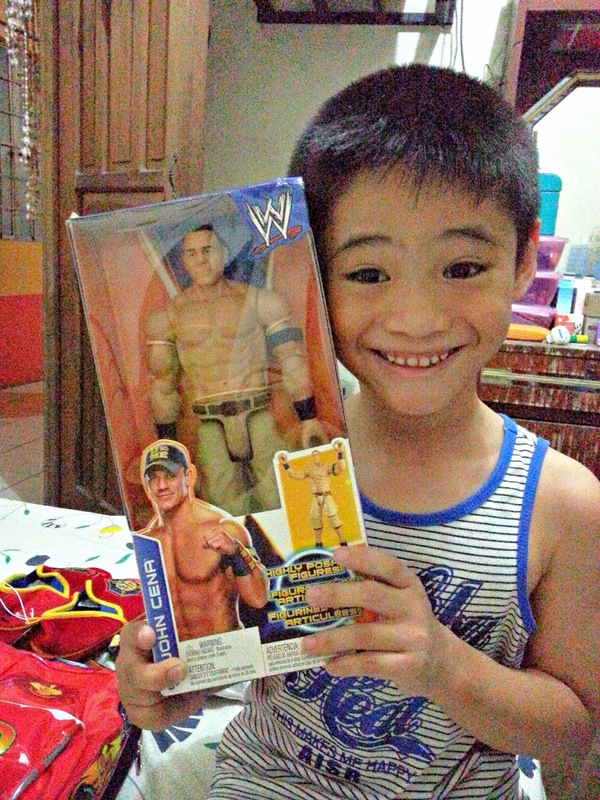 He looks so happy with his John Cena figurine! The look of satisfaction that only a kid could give. That precious smile comes after receiving a special toy. I would say that is one happy kid. Such a great photo! I love the wordless Wednesday!